While Theresa May has been officially appointed as Prime Minister; she’ll become the country’s second female PM after David Cameron formally resigned. 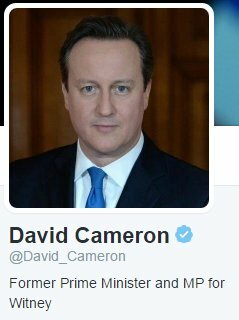 David Cameron immediately change his bio on twitter to former Prime Minister and MP for Witney. 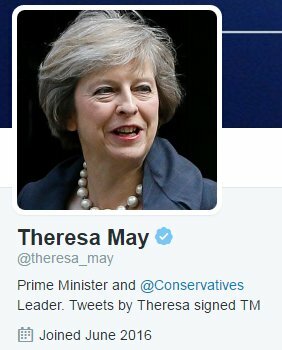 while Theresa May carries the Prime Minister bio with immediate effect.